Harare: Zimbabwe's veteran leader Robert Mugabe once quipped that he'd rule his country until he turned 100. Mugabe's second wife Grace - his former secretary who is 41 years his junior and has been seen as a potential successor - boasted that even in his 80s he would rise before dawn to work out. But in his later years, he has stumbled and fallen more than once and delivered the wrong speech at the opening of parliament in 2016. 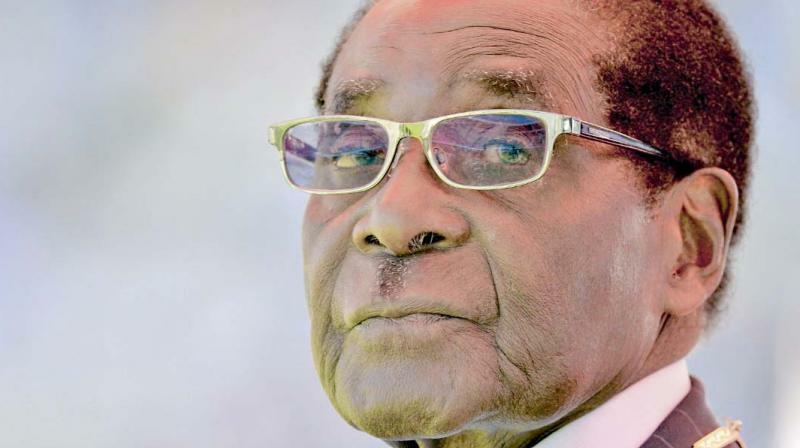 After his carpenter father walked out on the family when he was 10, the young Mugabe concentrated on his studies, qualifying as a school teacher at the age of 17.